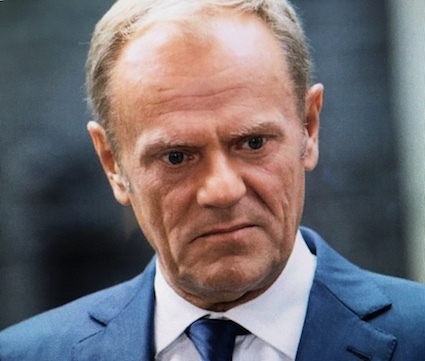 This week Donald Tusk caused a storm by wondering aloud about the special place in hell reserved for those who campaigned for Brexit. Now while Donald may be relishing the thought of people in hell, Jesus was rather less enthusiastic. He urged us to do all that we could to avoid it. On one occasion he said that if our eye or hand was causing us to sin, then we should pluck out our eye and cut off our hand! Better, he said, to go through life maimed than risk eternity in hell. He was exaggerating to make a point – hell is real. But what is hell like? The clue is in the sin that makes hell a possibility. Sin separates us from a loving God and to be cut off from love is to live in hell. St Paul describes love as being patient, kind, without envy or boasting, not proud, rude or self-seeking nor easily angered; keeping no record of wrongs but rejoicing with truth and always trusting, hoping and persevering. Now imagine the exact opposite given full reign. That’s hell. A God of love doesn’t want anyone in hell, and that’s why he sent a Saviour to set us free from sin. His name is Jesus.